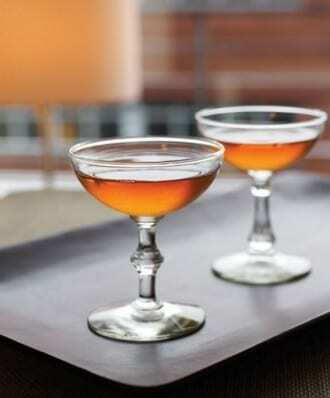 When Jim Meehan and John Deragon came up with this recipe inspired by the Brooklyn cocktail, they figured there were already plenty of drinks named after Brooklyn neighborhoods, so they looked across the Hudson to New Jersey (home of Laird’s) and called it the Newark. Combine all the ingredients and stir with ice. Strain into a chilled coupe. A “Mexican tiki” cocktail with pineapple puree and Mexican lager.